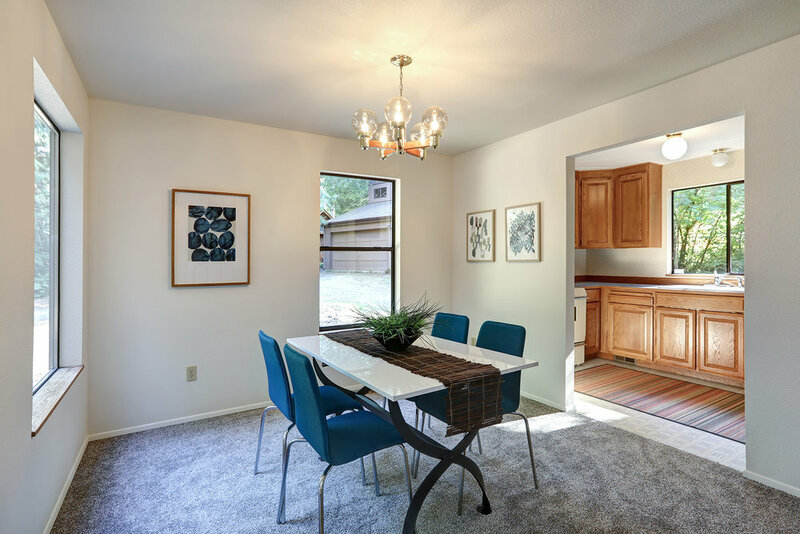 Rarely do we as real estate agents get to par take in a before/after property. As a former designer, I loved the challenge. 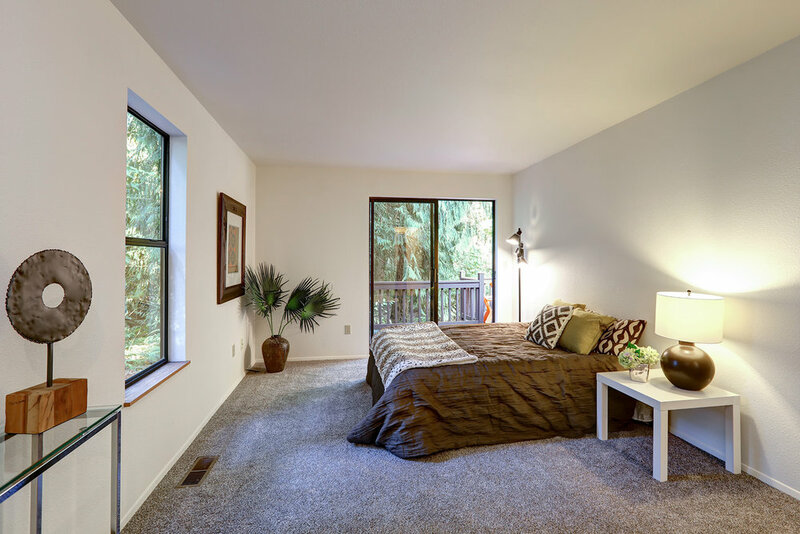 This wonderful property in Bonney Lake is affectionally called “The Tree House”. Great structure, just in need of being updated and refreshed. 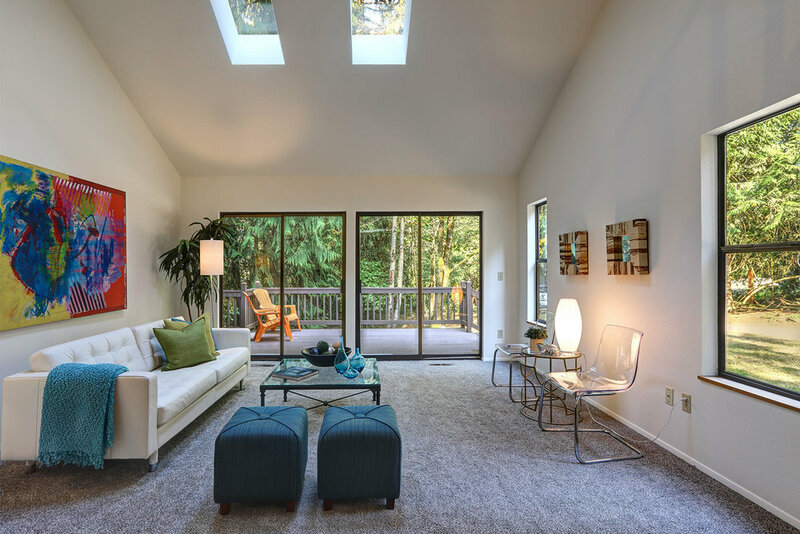 There once was a northwest contemporary nestled on an acre lot across from a lake. No one was living there at the time and it was sad and ready for a new owner to make it their own. Custom built in 1985 and lived in by one family since, it had great bones, wonderful privacy and serenity and a huge garage. We gave it love in the form of new paint, inside and out, some new windows, lighting, landscaping, new flooring and an inviting staging and listed it for sale. Within hours, buyers were clamoring for the tree house. Agents were lining up to show it. It seemed as though everyone wanted this piece of paradise. One lucky family got it after looking for the right place for two years. House is happy, sellers are happy and buyers are happy. Have a home that needs a bit of love and you don’t know where to start? I would love to come see it and explain through my eyes to you on what we can do to your home to get it ready to sell.